I am one of those rare persons who rather likes winter. For one thing I face anywhere from five to seven months of it each year, this is Canada, after all, and for another winter has a certain grace to it that I revel in. Winter is that rare time in our modern world where it’s permissible to slow down, to turn inward and contemplate self. January to me is that time of inward turning, the holiday madness is over, and there’s still a long stretch of dark and cold and snow to get through. I seek beauty in January, in the pages of picture books from long ago- a personal favourite is the ‘Country Diary of an Edwardian Lady’. This book always makes me long to learn how to draw, or to have been blessed with that ability in my fingers from birth- alas, it was not to be. 🙂 I often peruse paintings- I’m a big fan of the Pre-Raphaelites and find their lush canvases and retreat to mythology feeds something in me this time of year. But what I most look forward to this time of year is the retreat into the world of books. The literary scholar Harold Bloom states that reading is the most healing of pleasures, that it returns you to ‘otherness’ either in yourself or in friends- those old friends, or new that exist between the covers of books. I never consciously thought of reading as healing, but I was struck by the word when I read it in Bloom’s book ‘How to Read and Why’. I realized I have often fled to books in times of trouble, in times of sorrow I tend to hide between the covers of old favourites and seek sanctuary there. Those friends never fail, even when, or perhaps especially when I know the exact line that comes next, the bit of description or the next adventure I will fall into with them. Neither television nor movies (as much as I love some of what they offer) provides healing in the way that words on paper do. There is a list that I consider my ‘White Night’ list. Those books you reach for when it’s 3 am and the world seems a dark and lonely place. Every true reader has such a list. The first such book that went on mine was ‘Alice in Wonderland’. I can’t begin to tell you how much I love ‘Alice’. I first read it this time of year, as my original copy (long lost now) was a Christmas gift when I was eight. I have always understood the magic of reading from the first time I could string a few words together. I think most of us remember that moment in our lives, when suddenly pages in a book weren’t just a jumble of print, but suddenly those bits of type became a story, and the story became something we could enter, a magic portal, the doors of which remain open our entire lives. Reading ‘Alice’ was one of those pivotal moments in my reading life though, where I slipped so totally through that portal, or down that rabbit hole as it were, that I never truly returned. I’ve been an ‘Alice’ addict my entire life- if I was only allowed to take one book with me to that mythical desert island, it might well be ‘Alice.’ I read it over and over when I was eight, until my father worried I was developing an unhealthy obsession with the book. He may have had a point, as I still am obsessed even if I’ve cut the re-reads down to once a year. Bloom also states in his book that we read to feel less alone, because friendships wax and wane with the seasons and because life goes awry despite the best laid plans. We read to understand ourselves and our fellow man, we read to fall in love, we read to escape, we read to learn and better our own minds, but mostly we read because it is so damn wonderful. Falling in love with a book is something we never forget and we often wish, with the best ones, that we could erase them from our minds and read them for the first time again, much as we might wish to see an old lover through fresh eyes once more. My own White Night list includes Charles Dicken’s Bleak House, L.M Montgomery’s Emily books, Dorothy Dunnett’s Lymond Chronicles and her superlative House of Niccolo, Charlotte Bronte’s Jane Eyre, Leon Uris’ Trinity –my favourite standalone novel of all time, and sometimes, I admit, I turn to the very familiar comforts of my own characters. So this winter as you deal with ice and snow and long nights, turn to that most healing of pleasures and read, read because you’ll make new friends or visit over tea with old ones, read to be haunted by the visions of other men, read to fall in love, read to heal the soul bruises that the last year has put upon you, read to step once again through that magic portal. 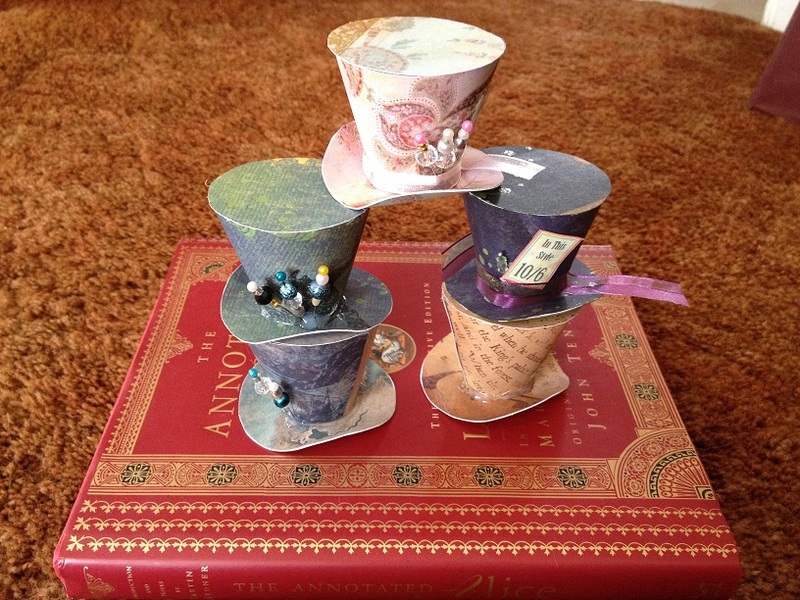 As for myself, I’ll be down the rabbit hole, at a Mad Tea Party, looking for that one clean cup, and in the process restoring, as the Mad Hatter once said, ‘my muchness’.